A dress shirt which incorporates contactless payment technology in the cuff is set to go on sale this summer. The Cash Cuff shirt has been developed by Cambridge-based DressCode and links a smartphone app with a contactless payments module sewn into the shirt. A virtual credit card created within the module in the shirt allows the wearer to allocate specific amounts of money to the shirt from the app, make payments, monitor the usage and switch the payments chip on and off at will, DressCode says. 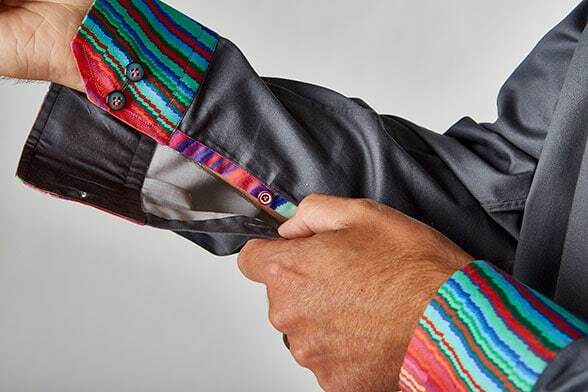 This isn’t the first outing for contactless cuffs: In 2014 a Swedish shirtmaker embedded NFC tags in shirt sleeves as part of a customer-get-customer programme.